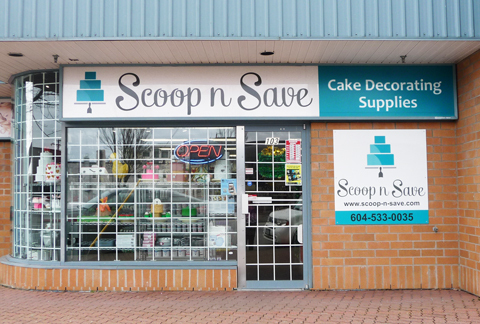 We are a cake decorating supply store located in Langley, British Columbia and we have been serving B.C. since 1982. For our first 23 years we were located in Surrey but have since moved to Langley in January 2006.
looking to rent cake pans, or purchase a wedding topper or buy bulk chocolate or need a cake board - we've got it all. We pride ourselves on offering an extensive selection of products including items you won't find anywhere else. Our expert staff is excellent at providing quality customer service and answering any of your cake related questions. We thank you for your continued support throughout the years.